When people have been ordered by a criminal court to serve probation, there will be some very specific – and very strict – rules that these individuals will have to abide by in order to avoid additional problems. Unfortunately, even if these people are doing their best to walk the line and abide by the terms of their probation, they may find themselves accused of violating their probation. In such cases, having a strong defense can be even more important than it was in the original criminal case. In this two-part blog, we will discuss some important facts to know about probation violation charges and how these cases are resolved. If you or a loved one stands accused of probation violation or any crime, contact the Griffin Law Firm for superior defense representation. Simply being in the wrong place at the wrong time can result in probation violation charges. 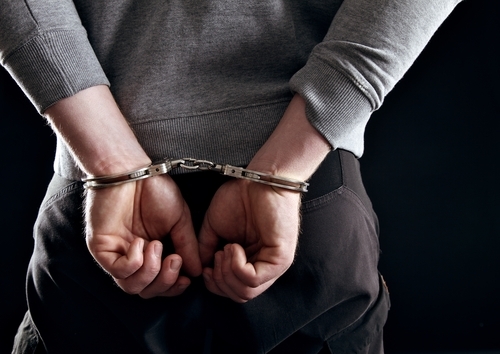 Call us for the strongest possible defense if you’re facing probation violation charges. Fact 1 – Being in the wrong place at the wrong time can result in probation violation charges. While the terms of a person’s probation will require that individual to regularly meet with a probation officer and to avoid engaging in new criminal behavior, they also will typically stipulate a person does not use drugs or drink alcohol for the duration of the probation. What this can end up meaning is that if a person misses an appointment with a probation officer and/or if law enforcement officials allegedly witness that individual in a situation that seems to involve drug or alcohol use or criminal behavior, probation violation charges can be filed against that individual. Simply put, being in the wrong place at the wrong time can create BIG problems for people on probation. Fact 2 – Probation violation charges can come with other criminal charges. When allegations of a probation violation have stemmed from alleged criminal behavior, it can be possible for law enforcement officials to file other criminal charges against a person in addition to the probation violation charges. While the other criminal charges will likely be resolved through standard court proceedings (such as an arraignment, a trial, etc. ), the probation violation charges will be resolved in a very different manner. Don’t miss the upcoming second part of this blog, which will be posted in early August, for some additional important facts to know about probation violations charges and hearings. Facing any type of criminal charges can be both scary and stressful, as a conviction could cost you your reputation, your career, your family and even your freedom. If you or your loved one has been accused of violating probation (or of committing any crime), Christopher Griffin wants you to know that he is ready to immediately start providing you with the strongest possible defense against police and prosecutors – both outside and inside of the courtroom.